The “entrepreneur gurus”, they all tell you “You have to follow your Passion!”. And you think, “Yeah, right. I’m not some idealistic twenty year old. I need to make a living”. Grizzled old veteran that you are, you have little time for sentiment in business. Besides, you wouldn’t know what your passion was if it came and punched you in the face. So, you work out what your skills and strengths are and you cast around for opportunities and you pick something that you are pretty good at and looks like a decent business proposition. You might even quite enjoy it. And that’s a mistake. I know, because I’ve made it myself. You see, one of the other things they tell you is “Being an entrepreneur is really hard”. And you’re right to ask because it’s not harder. But it’s not easier either. It’s just different. Emotionally, it’s different. The highs are higher and the lows are much lower, because you feel like everything is on the line. Your life, your career, your very identity. Motivationally, it’s different. There’s no-one to set your goals, to encourage you and to urge you on. Or, alternatively, to crack the whip and put the fear of God up you. There’s just you. You have to create your own momentum. So, when you wake up at three in the morning and find that you’ve been plunged into an existential crisis, telling yourself “I am committed to doing something that I am moderately good at and has a good business proposition” won’t get you back to sleep. When you have to get yourself up in the morning and go and face another waterfall of rejection as you try and find some customers and get people to support your idea, saying “this is something I am extremely competent at and has excellent revenue prospects” won’t get your head off of the pillow. And when, after days or even weeks of failure, setbacks, let-downs and frustration, you are on the verge of chucking it all in, declaring “this is something that I really find quite enjoyable and can give me a comfortable lifestyle” is not going to give you the fortitude to carry on. In those deep, dark moments of the soul, when you have call upon your deepest resources, it has to matter. You have to want it. With all your heart, your desire and your energy. You have to say “I believe in this and I’m going to make it happen”. We naturally take a logical approach to the problem we face because that’s how we’ve been trained in corporate life. Asses assets and desired outcomes and find solutions that match them to each other. Then evaluate against logical criteria, rank them and pick the best one. Only this isn’t choosing a supplier or an IT system or an office location. This is choosing something that is going to be the framework for your the rest of your life. Instead, you need to start with what you believe in, what your values are, what your dreams are. 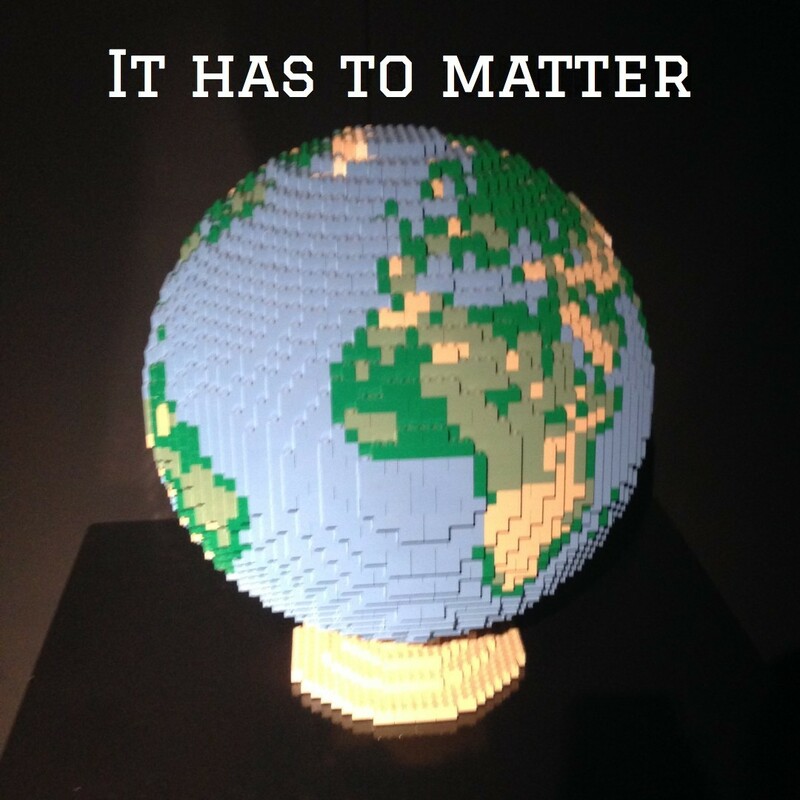 Because those are things that matter to us, those are the things that drive us. Those are things we turn to when we are truly up against it. And the things we truly celebrate when we are successful. You have loads of options out there, far more than you can ever imagine. Whichever one you pick, make sure that it matters. Getting people together is one of my objectives for After the Mothership. I want people to know that they are not alone and to have others to reach out to for help, support and encouragement, and to provide the same in return. 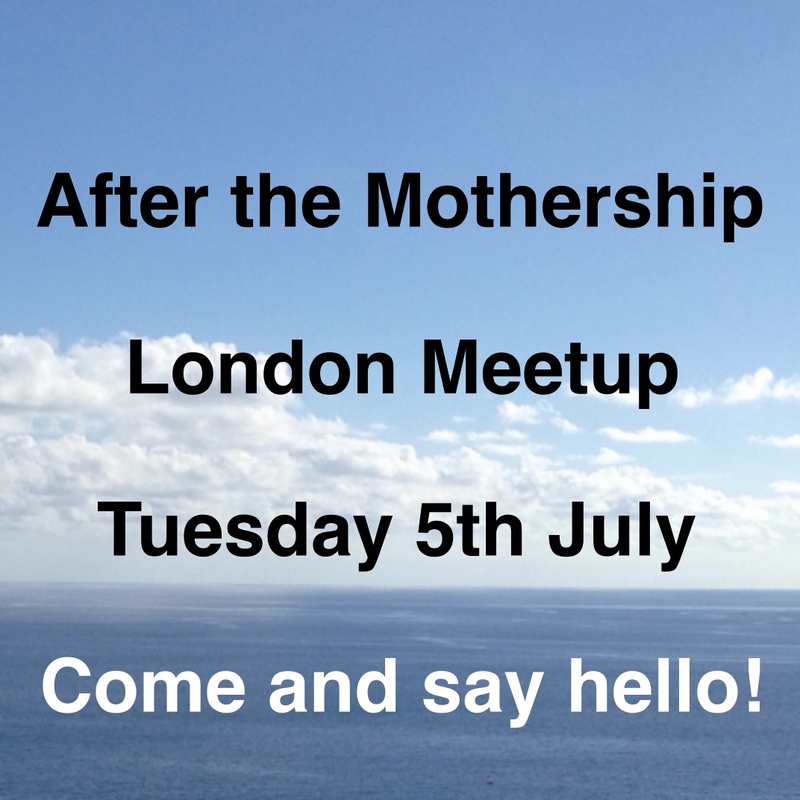 That’s why I am starting a regular monthly meetup in London. I know that ‘networking’ is a daunting thing for most people and for those of us who have been in the corporate bubble, entering a room full of complete strangers can be absolutely terrifying. (Surveys have shown it is the number one fear that people have, with public speaking second and death third!). This is NOT networking. There are no business cards or elevator pitches or high-pressure selling. This is a relaxed gathering of like-minds, a fun way to meet people in the same situation as you. You can participate as much or as little as you like, for as long or as short as you like. There will be a little bit of structure, just to lubricate the process, and I will give a short talk on the five things that I recommend people do when their corporate career ends (rather handily, this is the same subject as my free guide!). What happens after that and how it develops is really up to you and how it can best serve your needs. We might get some guest speakers in future or we might make it completely freeform. It’s an experiment, we will learn from the experience and make changes accordingly (in true design thinking/agile/lean style – or common sense, as it’s sometimes called).